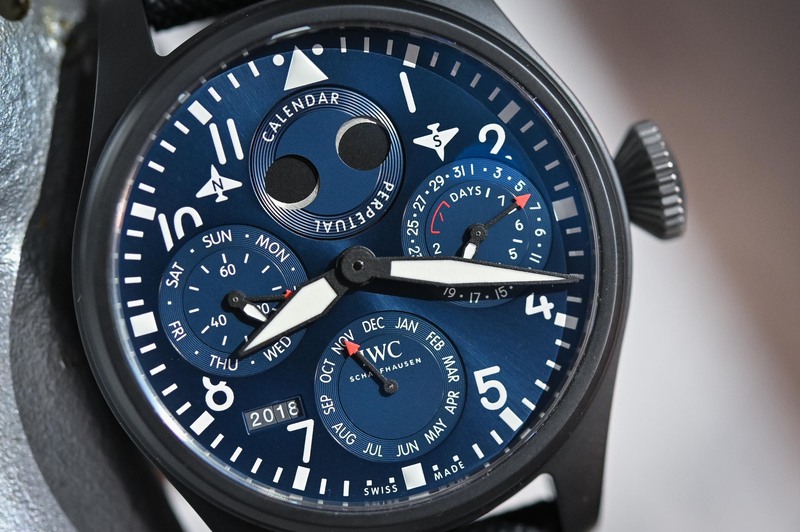 The Black-and-Blue "Rodeo Drive" theme is back at IWC, now with a perpetual calendar display. 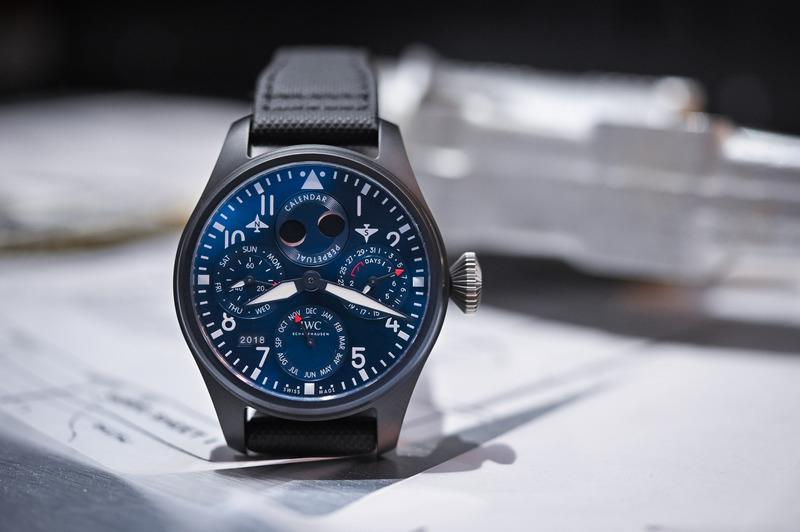 2019 has been earmarked as the year of Pilot’s Watches at IWC. This has not translated into a complete overhaul of the collection (something that we applaud, as we think it is important to keep the classical models intact) but with the introduction of new models in sub-collections – mainly TOP GUN and Spitfire. Apart from all the watches we have presented recently, there was an additional model that caught our attention. 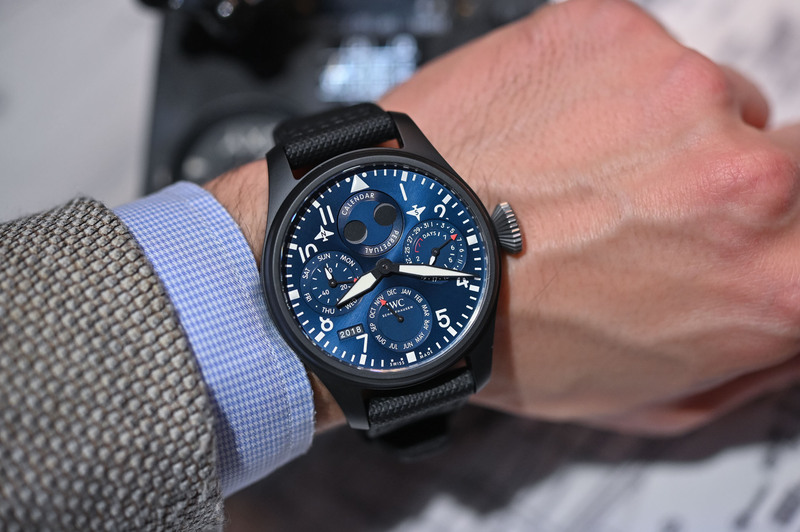 Based on the super-cool Black-and-Blue scheme introduced in 2015 on the time-only Big Pilot’s, this year IWC adds a new model: Big Pilot’s Watch Perpetual Calendar Edition “Rodeo Drive”. 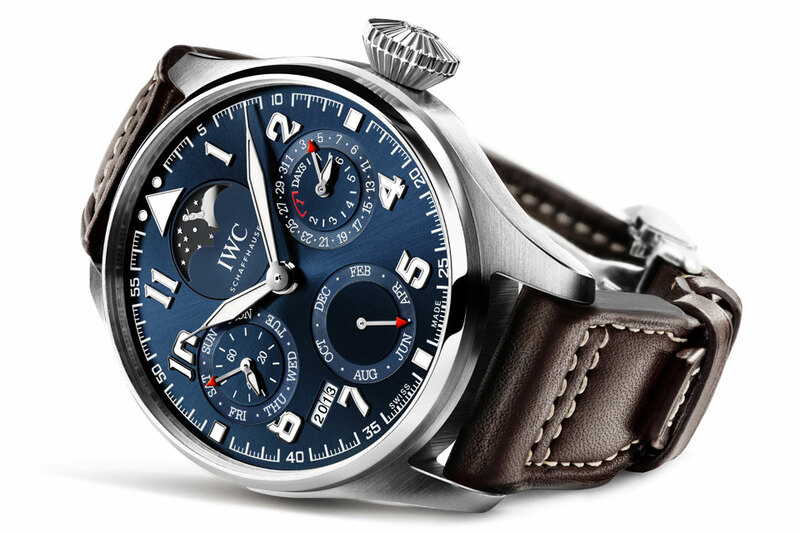 In early December 2015, IWC opened a new boutique in Beverly Hills, on Rodeo Drive. To celebrate the opening, a limited edition model, the reference IW502003 Big Pilot’s Watch Edition Boutique “Rodeo Drive”, was released. 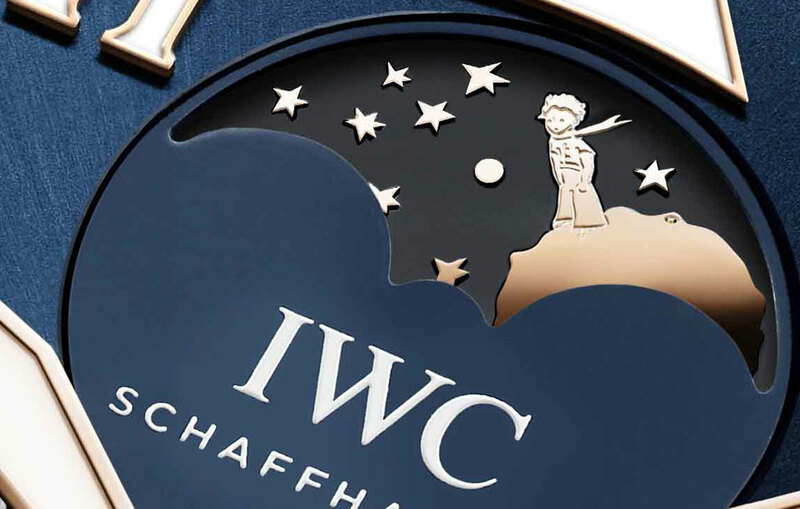 Limited to 250 pieces and available at the Rodeo Drive boutique and other IWC stores around the world, this watch introduced a new colour scheme, with a black ceramic case and a blue dial. And in all fairness, that was one of the nicest editions of the Ceramic Big Pilot recently introduced. 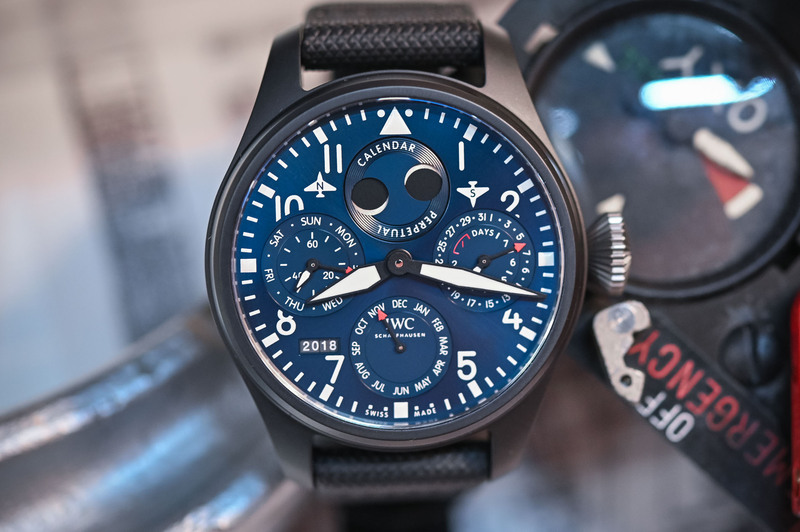 Riding on the success of this edition, in 2019 IWC launches a new edition based on the same Black-and-Blue concept. 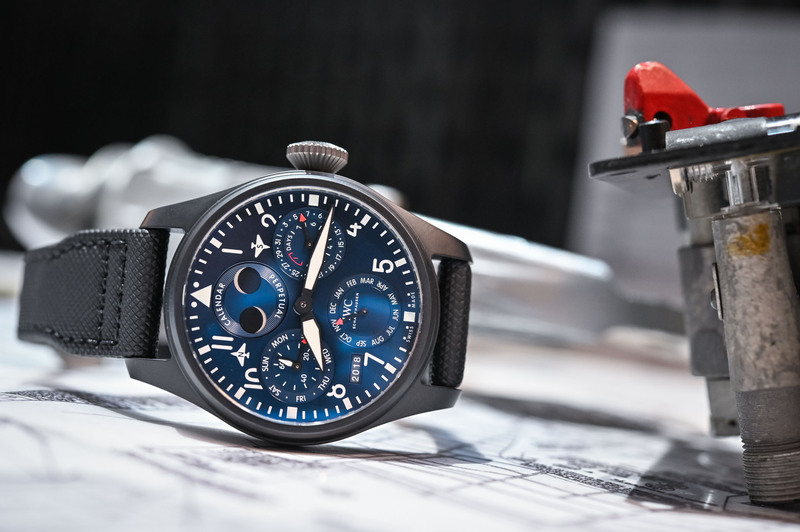 The latest IWC Big Pilot’s Watch Perpetual Calendar Edition “Rodeo Drive” is not limited in production and comes with the addition of a perpetual calendar display – as well as other improvements. And clearly, this is one desirable edition. This isn’t the first time the “Rodeo Drive” concept is used, neither is it the first time that a QP Big Pilot is offered in ceramic. This happened in 2012, with the Big Pilot’s Watch Perpetual Calendar Top Gun ref. IW502902. However, the new model we review today presents several differences with this watch, and not just the colour. Compared to the first “Rodeo Drive” edition, this watch changes a bit in terms of finishing. 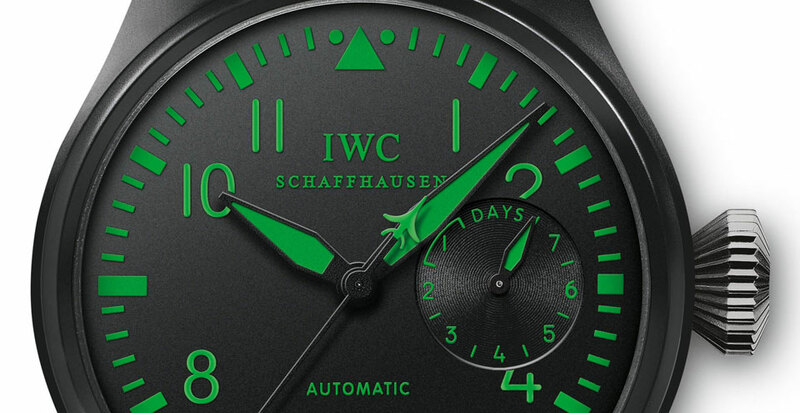 If the case is still made of black ceramic, it is now matte (previously shiny) and still equipped with a crown that is non-coated metal – a usual combination at IWC that looks sporty and gives the watches a certain utilitarian character. In all fairness, the discontinuation of the polished ceramic and its replacement with a matte, stealth-looking case is a wise decision. Compared to the Top Gun ref. 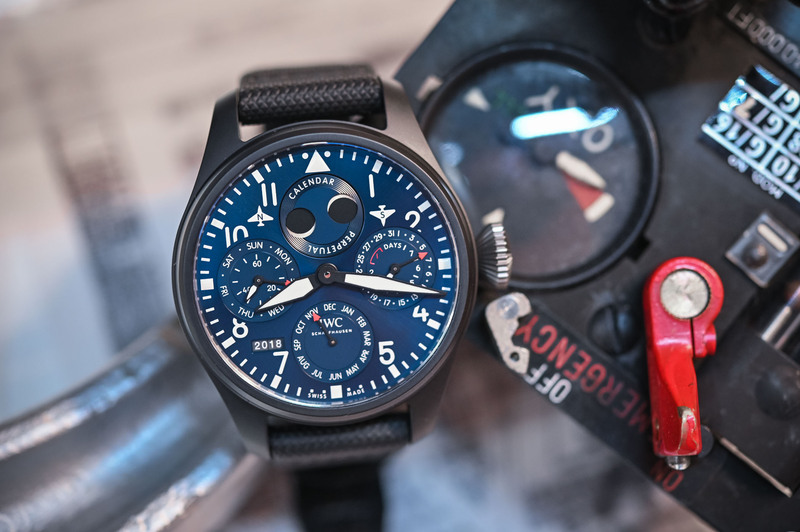 IW502902, another Big Pilot’s Watch Perpetual Calendar in ceramic, the new Rodeo Drive IW503001 also displays several updates. While it feels rather similar in design and proportions, the case is actually smaller (or “less big”, if you prefer) with a 46.8mm diameter instead of the 48mm diameter of the Top Gun. 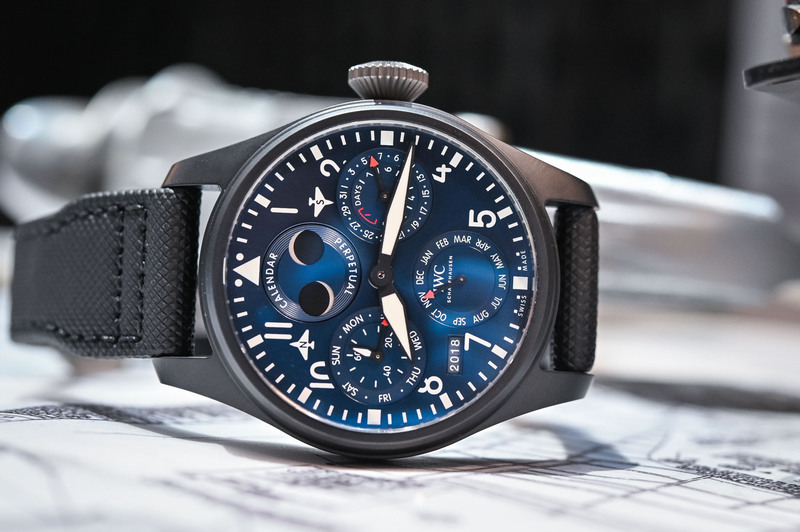 In fact, the new IWC Big Pilot’s Watch Perpetual Calendar Edition Rodeo Drive has the same case as a time-only Big Pilot. The thickness is 15.9mm, but such hefty dimensions have always been part of the concept. 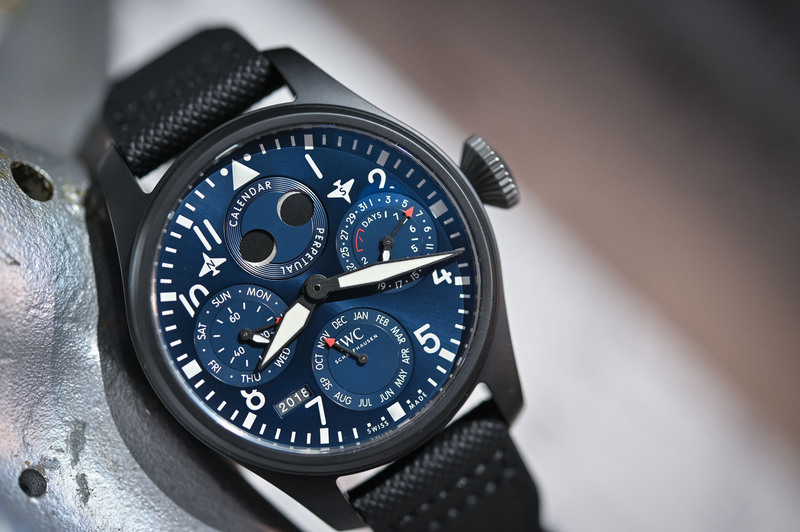 As for the dial, the IWC Big Pilot’s Watch Perpetual Calendar Edition Rodeo Drive features the signature sunburst metallic blue colour of the previous Rodeo Drive edition, which works surprisingly well with the matte black case. No vintage elements here, as the hands, the indexes and all the inscriptions are pure white and made to contrast with the dial. The legibility, thanks to the large diameter of the watch, is fairly good, even for a perpetual calendar with multiple indications. The display of this watch is typical IWC, and is based on the perpetual calendar module developed by Kurt Klaus during the mid-1980s. The beauty of this display is that, even after more than 30 years, it remains totally suitable for large watches such as the Big Pilot. Indications are spread all over the dial, with displays for the date, day of the week, month, year in four digits and perpetual moon phase for the northern and southern hemisphere. It also features a small seconds and a power reserve indicator. Inside the case, hidden behind a closed titanium caseback, is the calibre 52615, part of the new generation of movements introduced in 2015 by IWC. An update of the 7-day automatic movement, this new calibre still retains the same amount of energy but is now delivered by a twin-barrel architecture (for better torque management). It is equipped with several ceramic wheels, which is a more wear-resistant material than traditional alloys: the winding pawls and the automatic wheel are made of black ceramic while the rotor bearing is made of white ceramic. 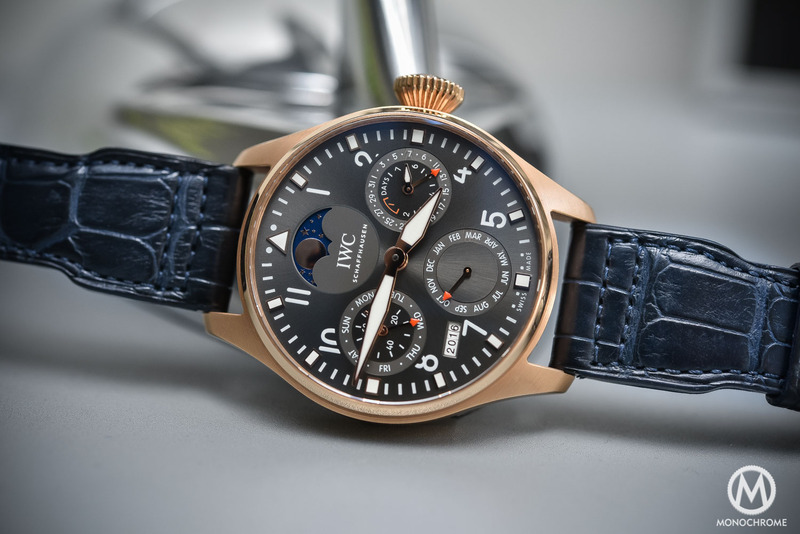 The IWC Big Pilot’s Watch Perpetual Calendar Edition Rodeo Drive IW503001 is worn on a textured black calfskin strap. It will be available in selected stores worldwide and on the brand’s website, at a price of CHF 33,000. 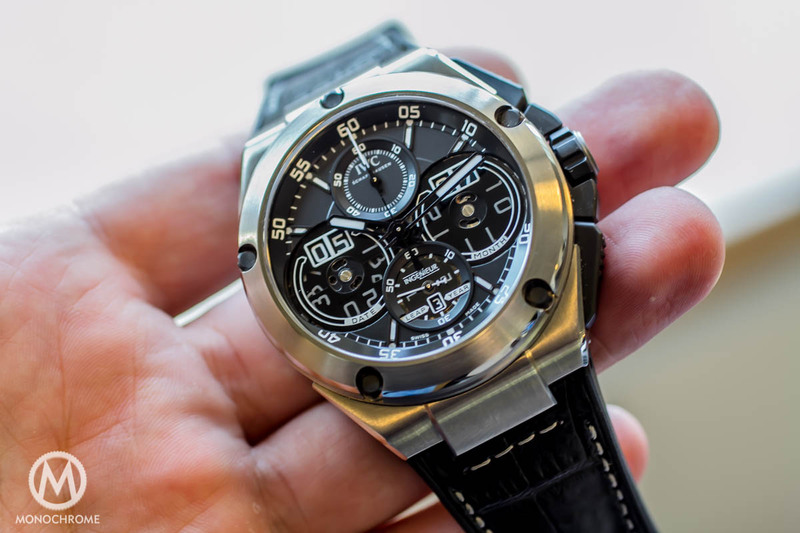 All in all, this watch is surprising… Surprising in the first place because of the combination of the most tool-ish looking case with one of the most traditional complications available. But even if pilot’s watches have never been designed to be that complex, this contrast is what makes this watch desirable and special. Secondly, surprising because I never thought black and blue were colours that could match… But they do, very well in fact! Perfection. IWC nails it again. By far one of my favorite watchmakers and most likely one of the most tastefully understated designs despite it’s size. Well done.